Yes, it’s the Sunday before Christmas, so it was time once again for the “It’s a Wonderful Life” ride. This one is a bit shorter than what we usually do, but it has some sightseeing. First stop was at Forest Lawn in Glendale. 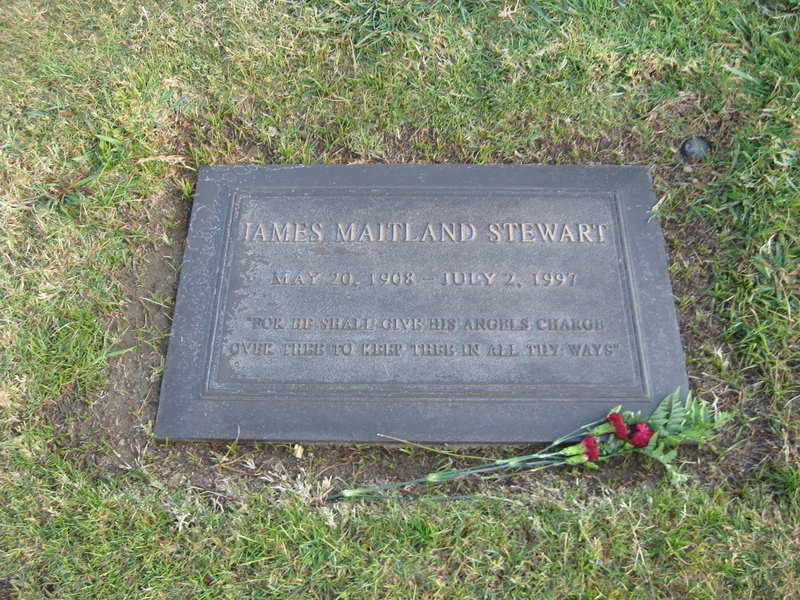 Jimmy Stewart is buried high up on the hill there, and we stopped to pay our respects. Then it was onward to our snack stop at Paradise Bakery. They apparently just had a fire in the upstairs area above the regular bakery shop, so they were running everything out of their small annex next door. After that, we rode up the hill into La Cañada to see the Martini House. 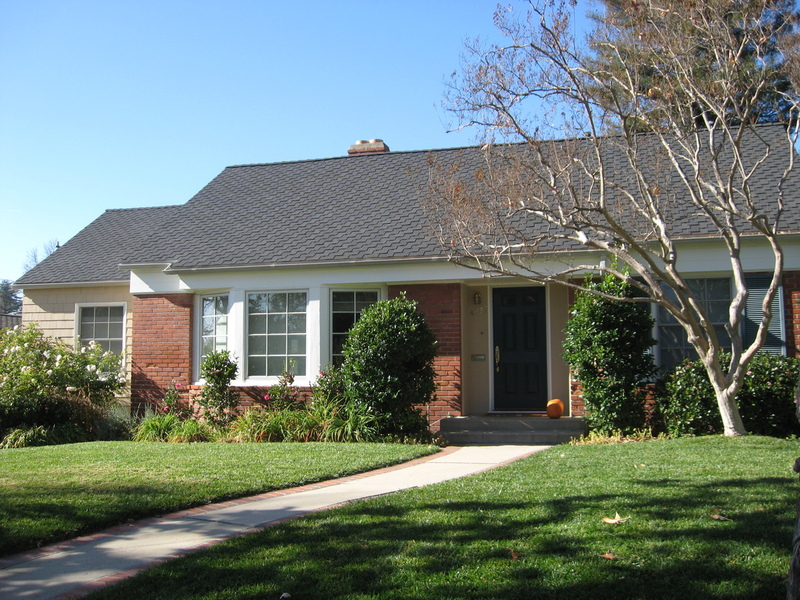 There are only a couple of scenes in the movie that were not filmed at the old studio backlot in Encino. And the Martini House in Bailey Park scene was one of them. The house still looks the same. Last year, I got some screenshots from the movie to compare. You can see them in last year’s writeup. By the end, it had turned into a very nice day for riding.